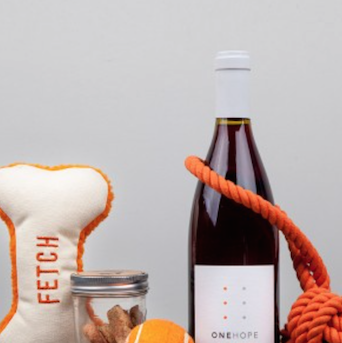 Stay Tipsy with ONEHOPE WINE to Help Pups in Need on National Mutt Day! To celebrate National Mutt Day on July 31, uncork a bottle of ONEHOPE’s award-winning wine that helps shelter animals find forever homes. National Mutt Day takes place twice a year in an effort to embrace, celebrate, and save mixed breed dogs. The holiday aims to challenge perceptions surrounding mixed breed dogs and raise awareness on the abundance of mixed breeds that are in need of forever homes. To do its part for mutts in need, ONEHOPE, a brand of award-winning wines each with a measurable social impact, raises a toast on National Mutt Day with its Pinot for Paws Woof! Gift Box. 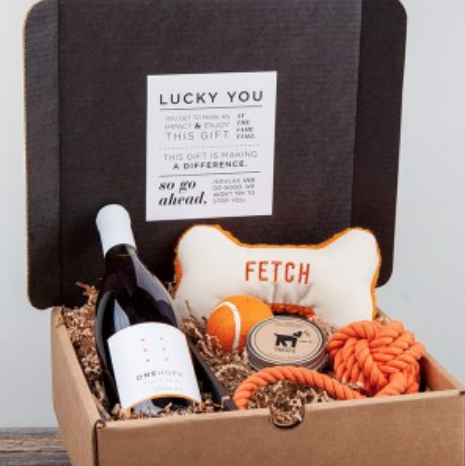 The gift box contains treats for both four and two-legged pals, and every purchase helps to fund pet adoptions. To date, ONEHOPE has helped 13,605 shelter animals find a forever home.